An extremely attractive local apple originating in Yancey County, NC, and previously considered extinct until a tree was discovered in Ashe County in 1996 by our good friend and fellow apple collector, Danny Harvey of Lansing. We were able to add this wonderful apple to our collection in 2005 and enjoyed the first fruit in 2008. A tree full of these beautiful apples is indeed a sight to behold! 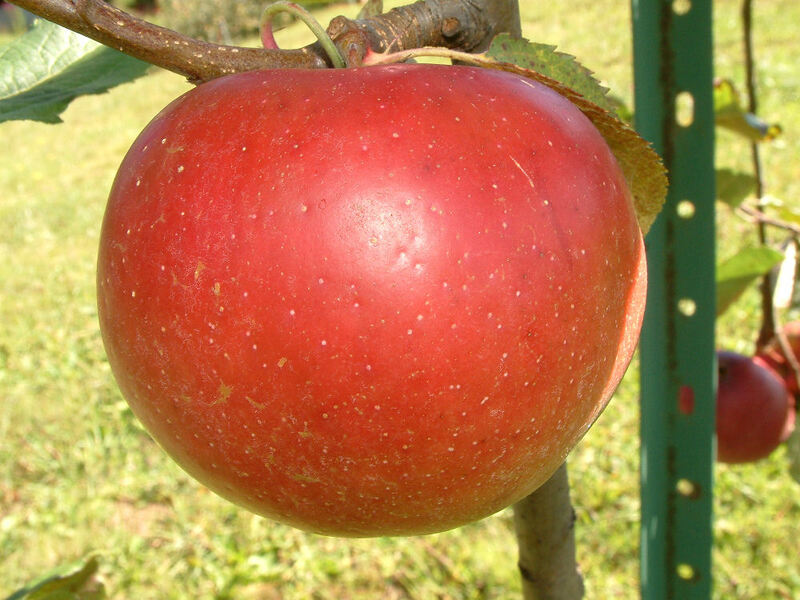 Apple is medium-sized, roundish-conical with smooth, very dark red skin. The pale greenish to yellowish flesh is very crisp and moderately juicy with occasional red streaks under the skin. Wonderful sweet-tangy, vinous flavor. Ripens mid-September to early October.